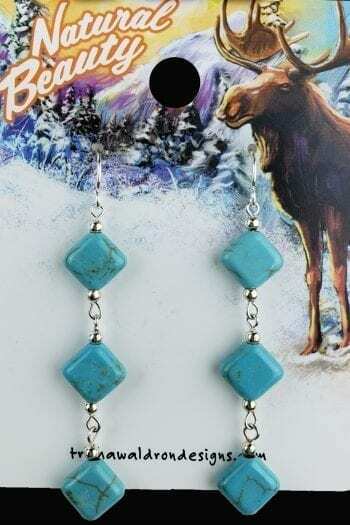 These long 3 Turquoise stone earrings are perfect for any occasion. 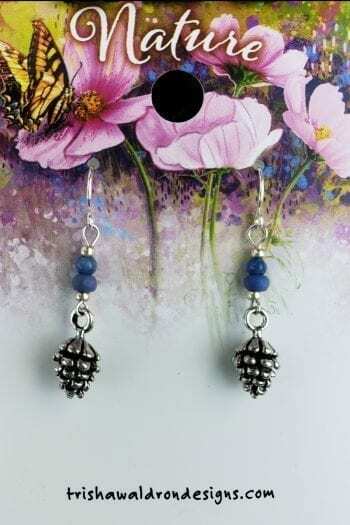 The hypoallergenic ear wire holds 3 gradually increasing Turquoise stones. 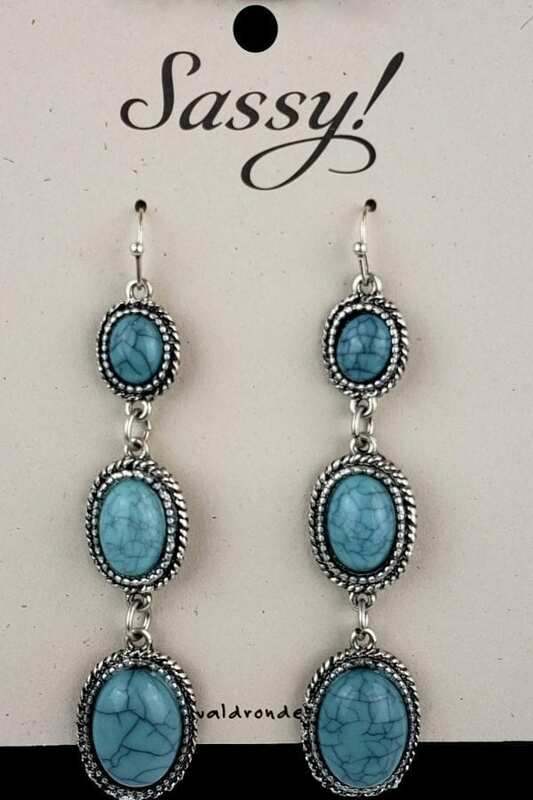 These 3 Turquoise stone earrings are perfect for any occasion. 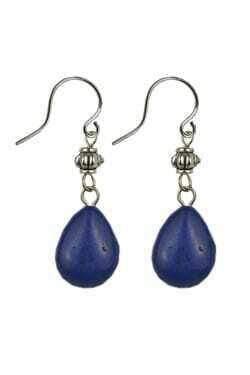 The hypoallergenic ear wire holds 3 gradually increasing Turquoise stones. 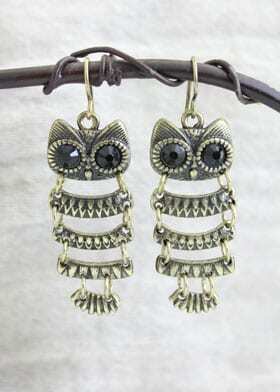 These earrings are ready for your night out. 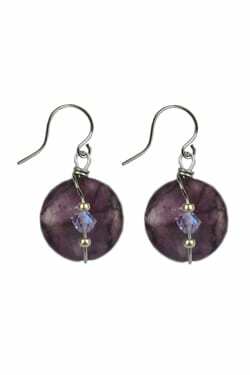 Measures 3″ from bottom of ear wire (1″ stones) to bottom of earring.